How high are you? Let Miracle Bud tell you. No matter what level of stoned you are, this book will help you enjoy the buzz. Portend the potency of your pot with Miracle Bud. Place the Miracle Bud Leaf in the palm of your hand, watch how it moves, and then consult the “Levels of Stoned” table to see if you are Buzzed, Blazed, or Zzzzzz. Then get lost in the hilarious illustrations and mind-bending facts, figures, and deep thoughts that will help you enjoy the high. Need something to do with your session friends? Activities abound, like making up dialogue to muted television shows. Got the munchies? No problem, microwave recipes will satisfy your cravings quickly. Need to laugh more? Check out the twisted trivia. 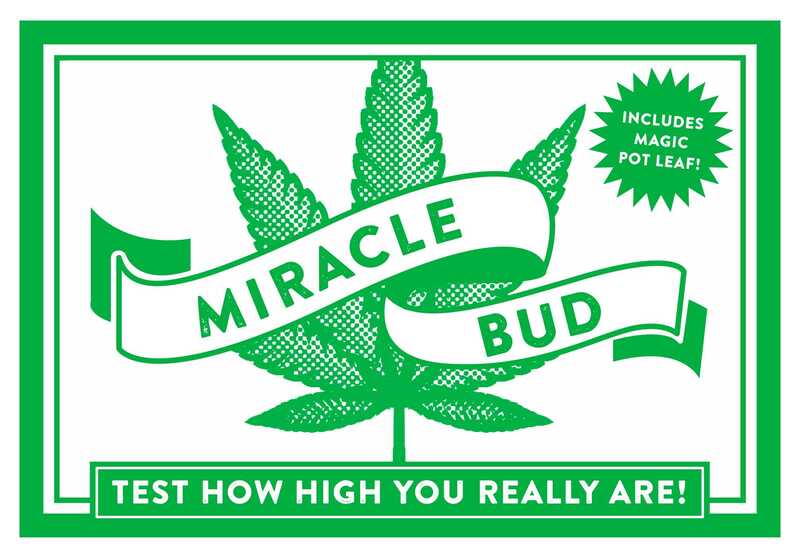 Miracle Bud is the perfect companion for when you smoke pot.